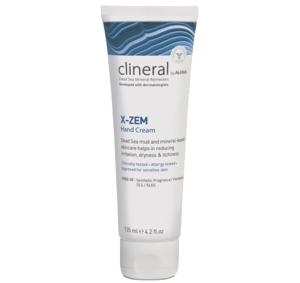 Dead Sea mineral-based rich & intensive hand cream specially formulated for treating hands discomfort in dermatitis prone areas. 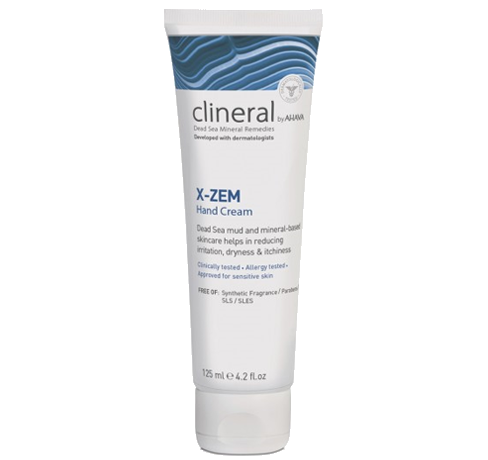 Alleviates redness and calms irritations, visibly heals and revitalizes chapped, rough and over-dry patches providing relief and restoring hands wellbeing. Gently scented with aromatic oils. • show size of the affected area decreased by 15% • Improvement of 24% in the manifestation of scales • Improvement of 56% was evident in skin hydration • Improvement of 17% in skin roughness.